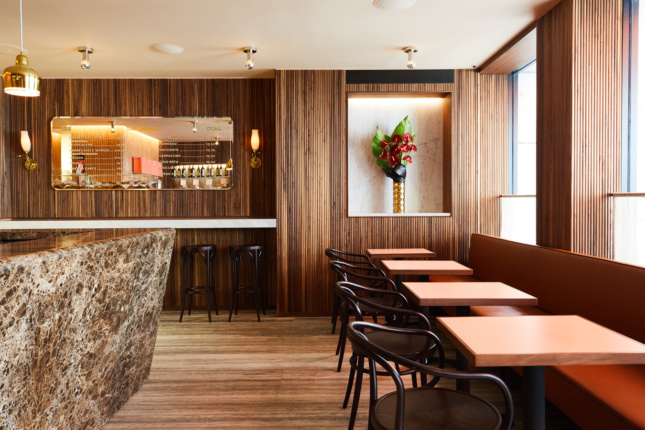 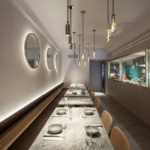 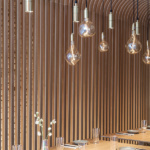 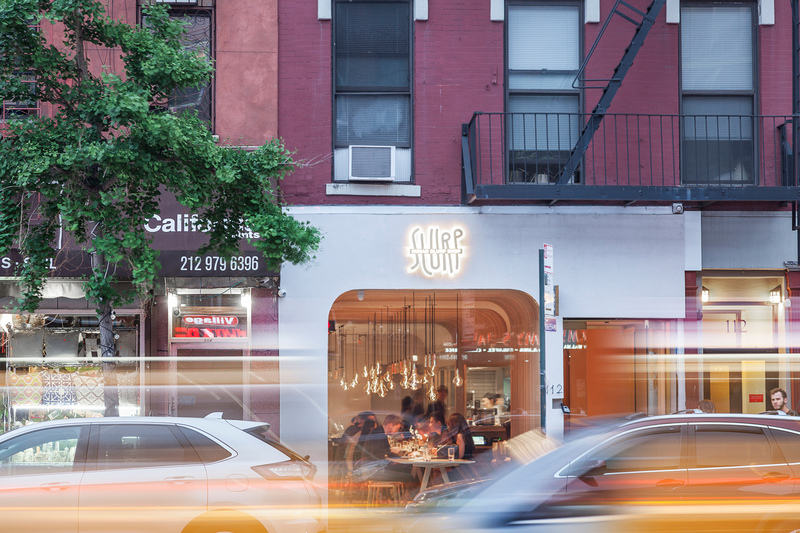 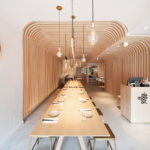 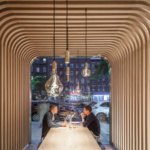 For an eatery that features authentic street rice noodles from the Hunan province of China, New Practice wanted to create a dining space that engages with the bustling East Village neighborhood. 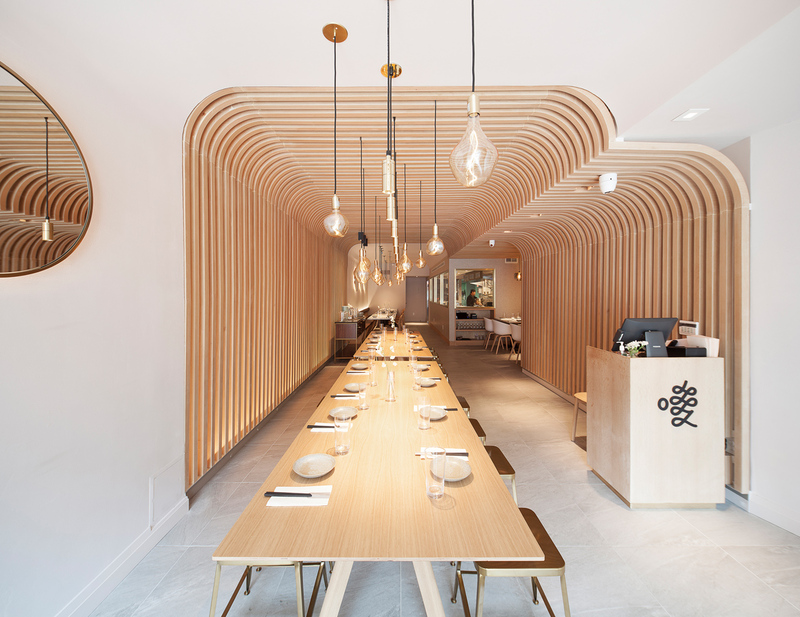 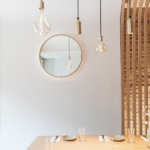 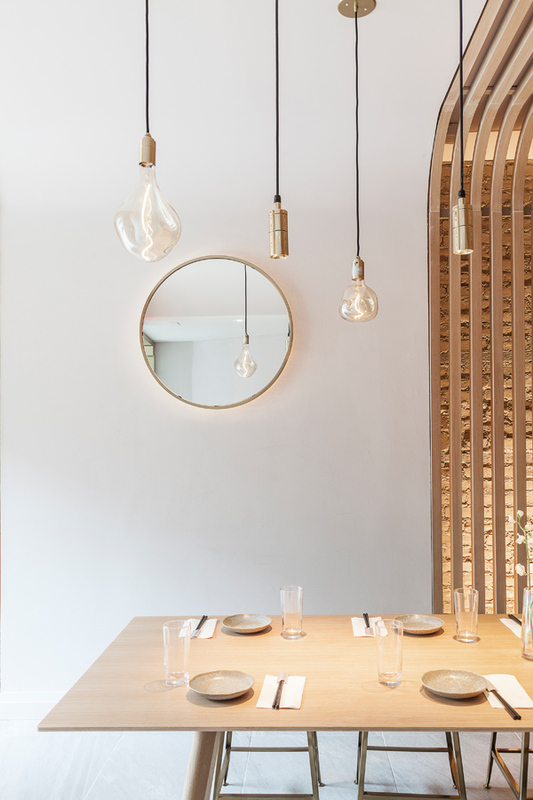 Hunan Slurp was conceived as a place to both look into and out of. 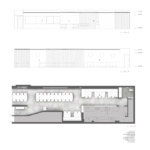 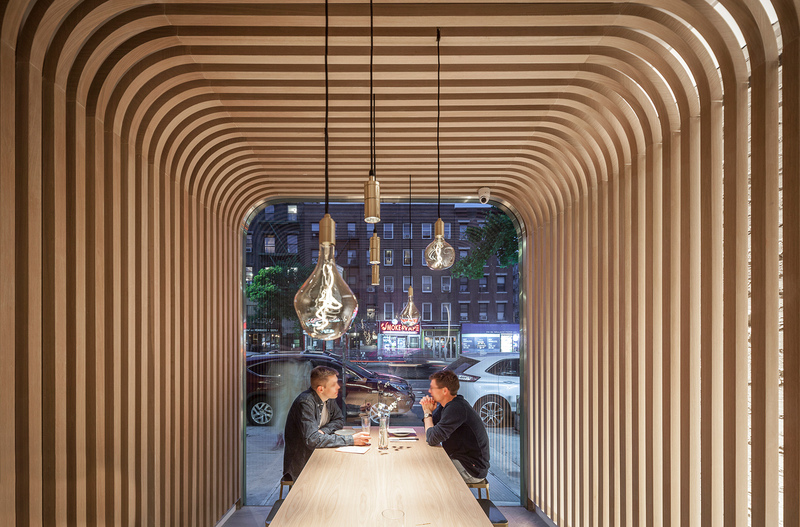 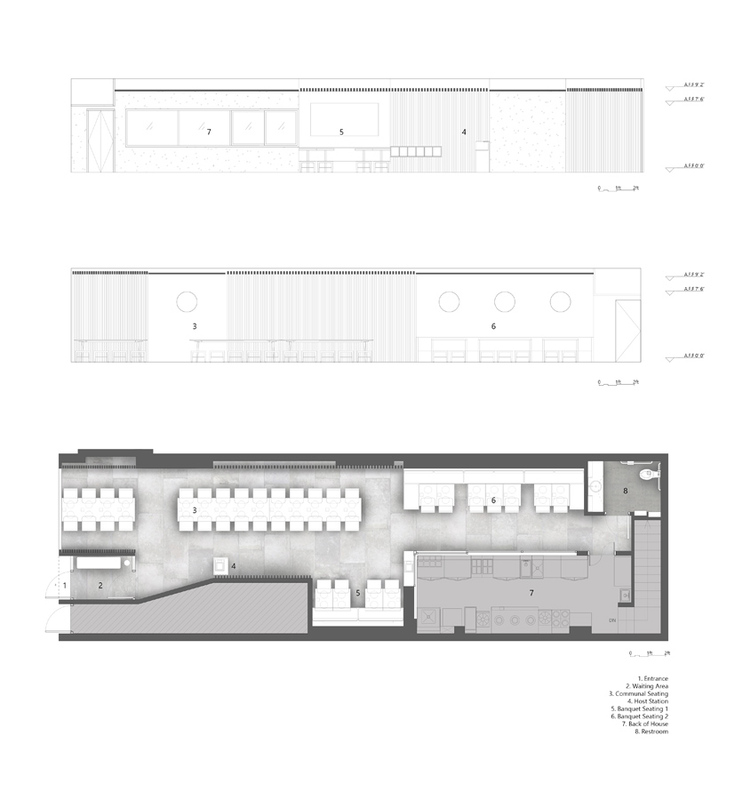 Grabbing the attention of passersby, a linear volume runs from the storefront into the interior, while a group of communal dining tables anchor the core of the space and add to its continuity. 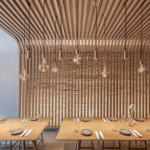 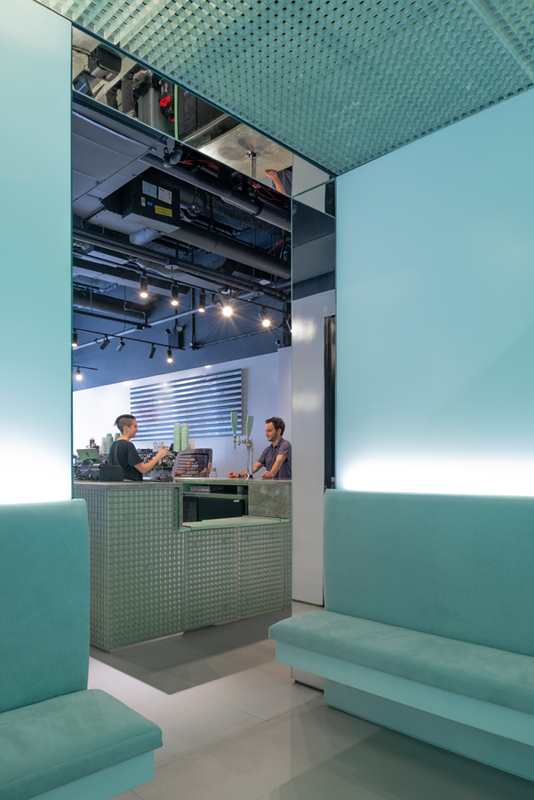 The interplay between white plastered walls and backlit lattice wood screens creates a bright and warm atmosphere. 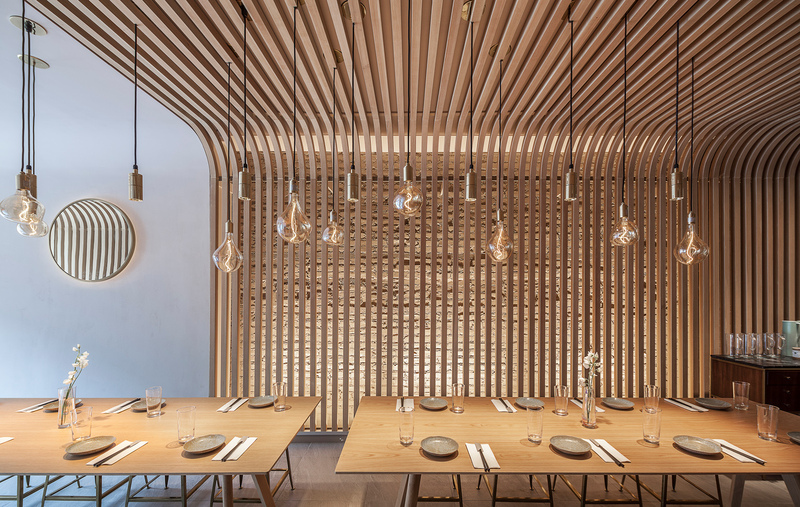 The arched, fillet corner design is intended to resemble the shape of rice noodles. 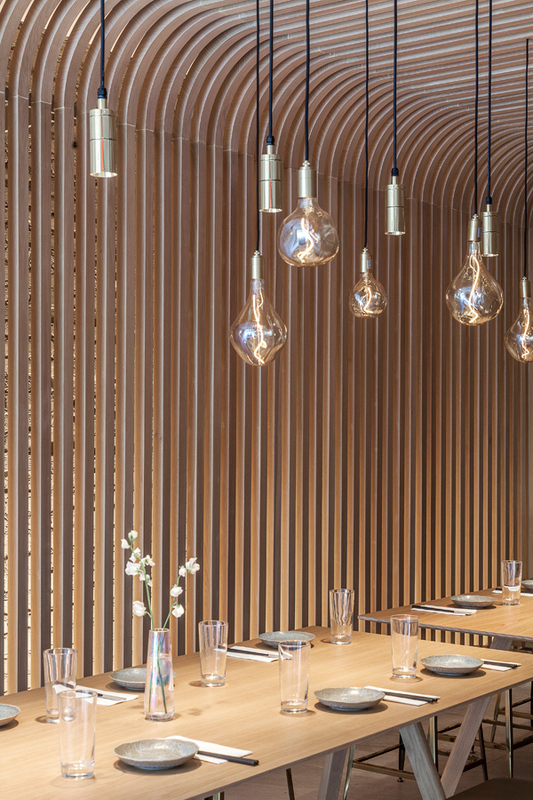 Beyond this central focal piece is a more intimate space. 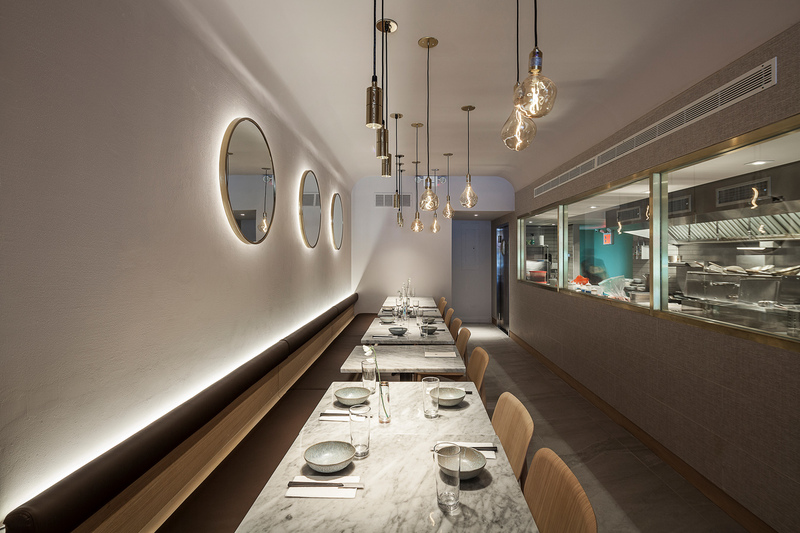 Marble-topped tables and a cozy banquette flank a glazed-wall kitchen, allowing diners to see their food being prepared.